Last weekend on my thrifting excursion to Brooklyn I scored many wonderful things, but one was a treasure like no other because I've been searching for so long. 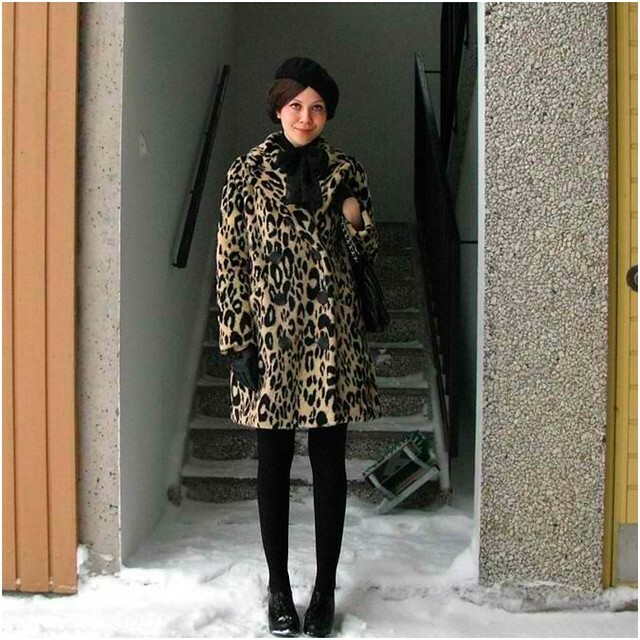 A perfectly mod-style faux leopard coat. Since I'm still in Iceland with a much larger coat and looking like a sinus-infected swollen faced monster (see: Sloth from the Goonies) I haven't styled it up yet. However, I have picked out some of my favorite looks to share that I'm eager to try out soon. *I tried to find the sources, I really did. Anyone know where these came from originally? I really hate that there is no way to embed an original source in a picture that will lead back to the owner no matter how it is shared. 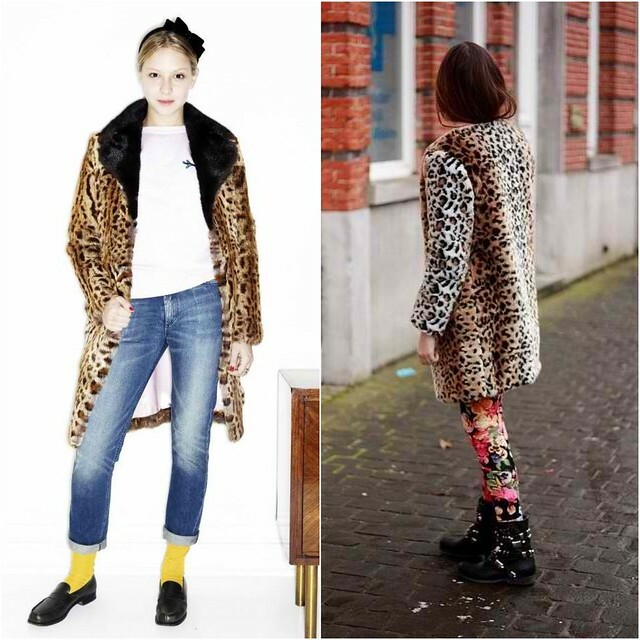 I've been wanting a leopard print faux fur coat for ages too, but didn't find one that I loved so far. Ranna and her coat are gorgeous! Nice round-up!! Ooh, I especially love Elisa Nalin's! It fits so beautifully! I think Google has a thing where you can upload a pic or link to it or something and it finds the original source?? I might have dreamed that... but ... maybe not. 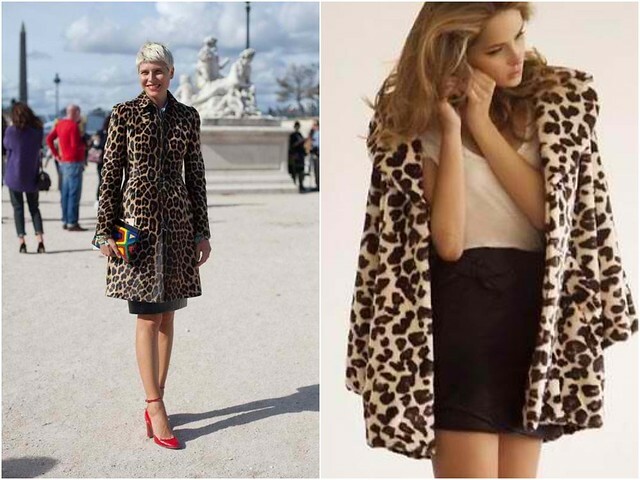 ANYWAY I'm suuuuper jealous of you for finding the perfect leopard print coat! I've been wanting one for a while but all the affordable ones I've seen are leaning toward the tacky side. Boo. Can't wait to see how you style it! I loved Ranna's blog too. She's so adorable and looks a lot like Maggie Gyllenhaal. I can def see you pulling off a leopard coat, what a great score. I'm sure you're having an amazing time in Iceland. Enjoy every minute of it. Ooo, what a find! 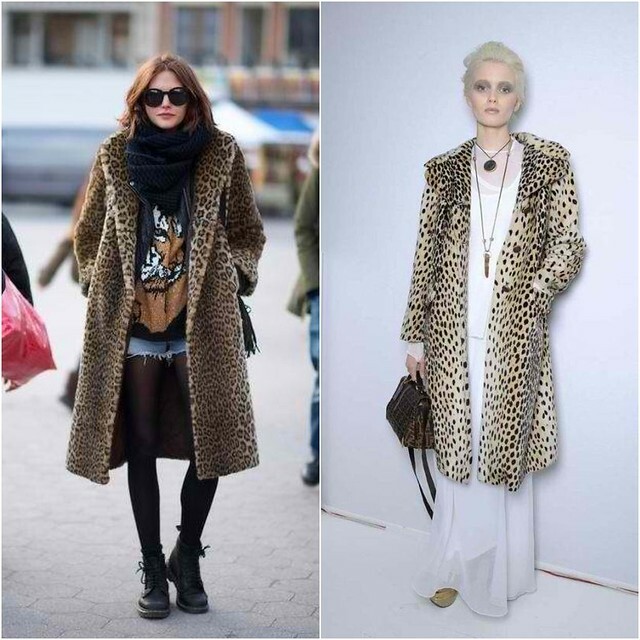 I love leopard coats, they're so cool! I'm looking forward to seeing how you wear yours. EEK, I can't wait to see how you style it up! Girl, get on board with google image search. I'll leave the second one to you.. but if you need a hint let me know. Also, I think a leopard coat will be awesome on you.